Denpasar - Bali Regional Police (Polda Bali) held a Seminar with the theme "Public Perception on Performance of Bali Regional Police Period 2017", Monday (9/7/2018) at Hotel Aston Denpasar. 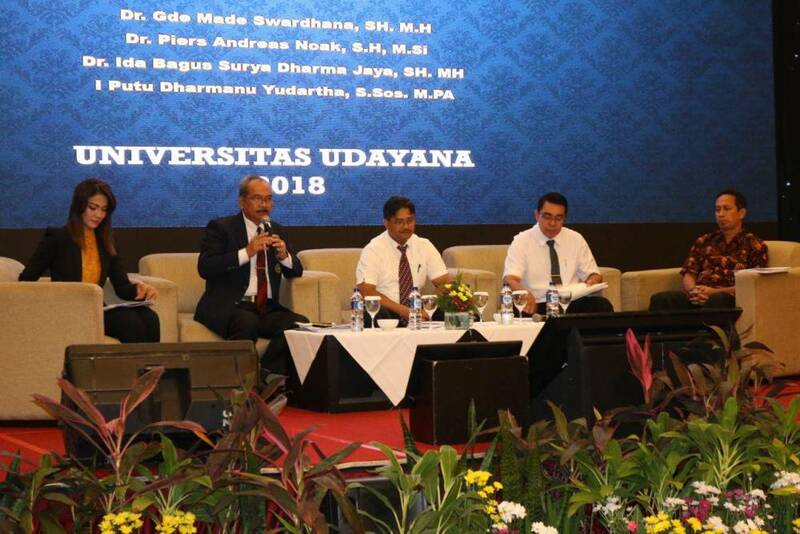 The seminar was attended by Unud Rector, Head of BNN Bali Province, Head of Balinese Ombudsman, PHDI, FKUB, community representatives and student representatives of PTN / PTS in Bali, amounting to approximately 500 people. In a seminar opened by Wakapolda Bali presented research results from Udayana University Research Team and Research Team of University of Indonesia by presenting moderator Ira Koesno. Wakapolda Bali, Brig. Gen. I Wayan Sunartha in his speech expressed his gratitude to the team of police performance researchers for the period of 2017. With the research conducted, it is expected to improve the performance of police in accordance with the Bali Police Chief program of Bali Police personnel in providing services to the public should be more humanist. The performance of Bali Police can be seen through the mechanisms of case disclosure, service appropriate tasks and functions and support and assessment of satisfaction from the community as a recipient of services. Research on the performance of the Police in Indonesia is necessary so that it can be a material evaluation and development policy to improve the quality of services for police institutions, especially Polda Bali. 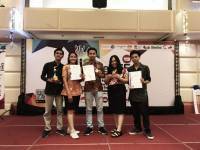 Udayana University Research Team consisting of Dr. Gde Made Swardhana, S., MH, Dr. Piers Andreas Noak, SH., M.Si, Dr. Ida Bagus Surya Dharma Jaya, SH., MH and I Putu Dharmanu Yudartha, S. 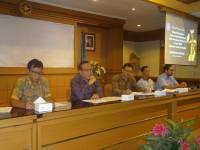 Sos., M.PA presented the results of the study entitled "Public Perceptions on Performance of Bali Regional Police". From the research, it was concluded that the community's assessment of internal policing on transformational leadership, human resource management and strategic planning based on results and analysis resulted in the fact that the transformational leadership factor received the highest appraisal. Therefore the assessment or perception of police officers towards the leadership of the Bali Police currently is in accordance with the reality that is more highlighting aspects of intellectual simulation that can be interpreted that intelligence and rationality in making and taking decisions in overcoming the existing problems have brought significant changes in the performance of the Bali Police and a sense of comfort and security to the people and tourists in Bali. The assessment and perception of the community on the performance of the Bali regional police is good or good, while the highest is related to the community believe the Bali regional police have special methods in eradicating cases in Bali, Terrorism, Nakoba, Thugs, and Corruption as well as illegal levies. The correlation of police performance and community satisfaction is high.